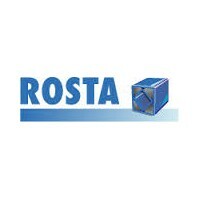 The ROSTA story started in the mid forties with the production of a few elastic wheel suspensions and, over the years, developed into a company that manufactured standardised rubber suspension axes for trailers. But it was the design and marketing of machine components such as the unique chain and belt tension elements that opened up the world market for the ingenious ROSTA rubber suspension system. Best-selling machine components such as the vibratory suspensions for screening technology helped ROSTA rubber suspensions to achieve their international breakthrough.This was followed by motorbases and anti-vibration mounts, which have now become indispensable in general machine construction. ROSTA rubber suspension units will also make their mark in the future in machine construction technology – whether in the recycling industry or in the production of renewable energy – the blue spring-loaded assemblies from Hunzenschwil in Switzerland are already fully involved in these forward-looking technologies!